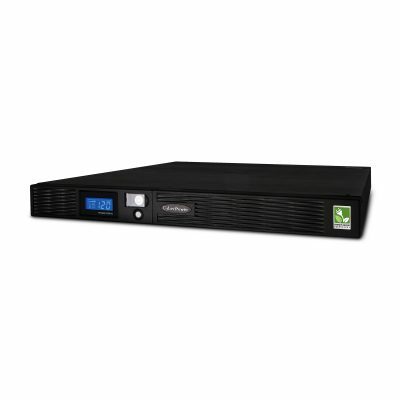 A rackmount UPS with line interactive topology, the CyberPower Smart App Sinewave PR1000LCDRM1U provides battery backup, power protection (using sine wave output), and surge protection for corporate servers, department servers, storage appliances, network devices, and telecom installations requiring Active PFC power source compatibility. 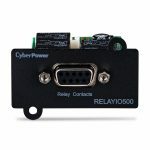 The PR1000LCDRM1U uses Automatic Voltage Regulation (AVR) to correct minor power fluctuations without switching to battery power, which extends battery life. AVR is essential in areas where power fluctuations occur frequently. 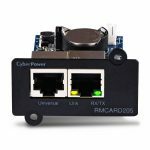 The PR1000LCDRM1U comes with a three-year warranty and a $400,000 Connected Equipment Guarantee. Provides power protection to ENERGY STAR® 6.0 systems with Active PFC power supplies. 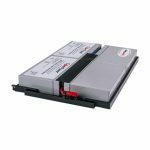 Displays immediate, detailed information on the UPS battery and power conditions, alerting users to potential problems before they can affect critical equipment and cause downtime. 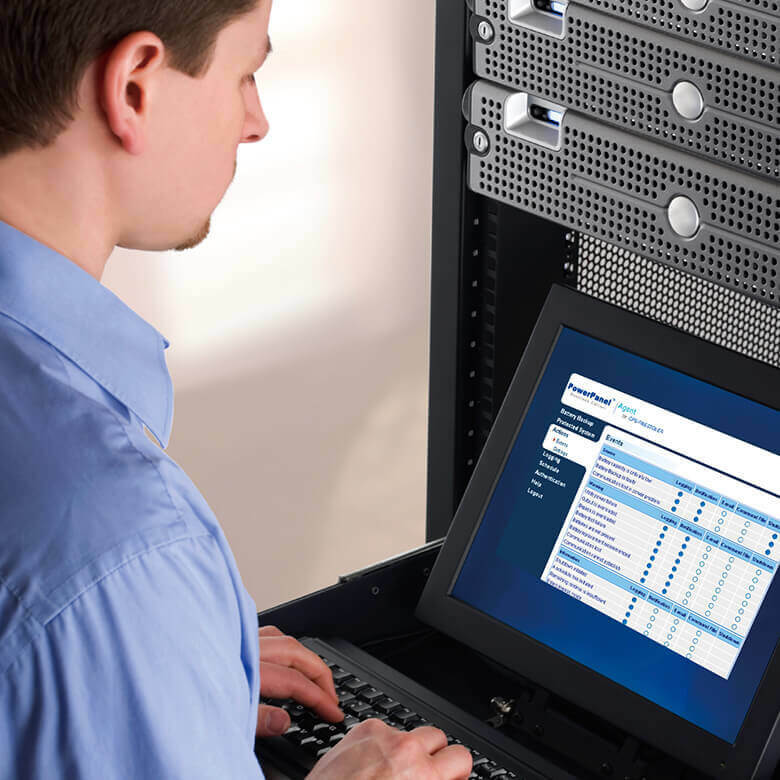 Provides IT professionals with tools for monitoring and managing the UPS and backup power. This software offers remote management functionality. Free software download available here. 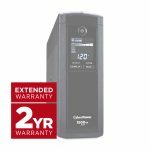 CyberPower will repair or replace a defective UPS system (including batteries) within three years of the purchase date. See warranty for details. PowerPanel Business software download available here. This product can expose you to chemicals including Styrene, which are known to the State of California to cause cancer, and Bisphenol A (BPA), which are known to the State of California to cause birth defects or other reproductive harm. For more information go to http://www.P65Warnings.ca.gov. The Smart App Series offers full-featured network UPS management capabilities with the PowerPanel® Business Edition software and an optional SNMP network management card. These remote management tools enable centralized power management, monitoring, control, and configuration. They also provide for safe shutdown of connected servers, workstations, and other devices via a standard Web browser or network management system (NMS). The PowerPanel® Business Edition software, included with every Smart App Sinewave UPS, enables an administrator to remotely manage each aspect of the UPS and facilitate the orderly automatic shutdown of connected equipment in the event of an extended power outage. This software also provides comprehensive network power management for corporate servers and critical workstations supported by the UPS, such as application/operating system shutdown, event logging, reporting, alerts and notifications. 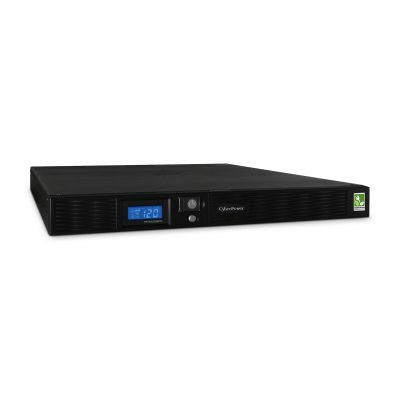 Smart App UPS systems allow programming of critical outlets and non-critical outlets, giving administrators the ability to prioritize outlets and increase battery backup runtimes for the most critical equipment during extended power outages. Programmable outlet control also gives an administrator the option to delay-start non-critical outlets, permitting the internal batteries to fully recharge more quickly. This feature is vital to data centers where seamless, uninterrupted equipment bootup is a necessity. GreenPower UPS™ Technology from CyberPower improves operating efficiency, reduce heat generation, and consume less power than conventional UPS models. Our patented Bypass Design allows current to bypass the transformer and automatic voltage regulation (AVR) when utility power is normal, thus reducing energy consumption and associated costs. Because utility power functions normally most of the time, the bypass design allows for substantial energy savings. This technology also reduces heat generation, an important factor in decreasing operating costs. In the U.S., utility companies provide power to households and offices by distributing single phase alternating current (AC) power at a frequency of 60 Hz. Electrical power can be graphically depicted as a sine wave whereby the electrical signal alternates from +120 volts to -120 volts at a rate of 60 times per second (60 Hz). To enable more efficient operation of large, heavy equipment, utility companies provide commercial and industrial locations with three phase AC power which consists of three overlapping sine waves offset by 120 degrees. 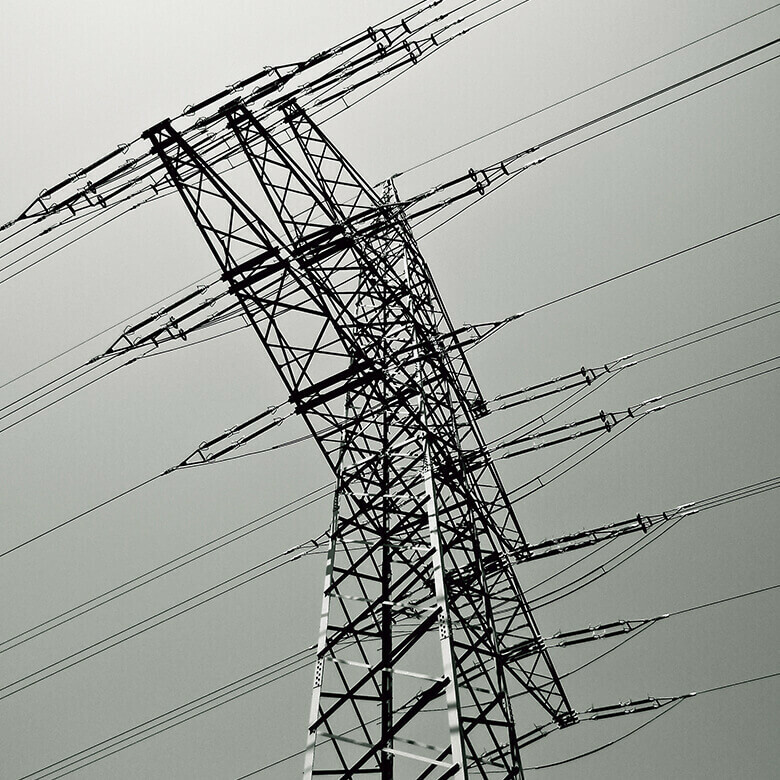 Although utility companies strive to distribute 100% sine wave power, many factors can introduce electrical noise into the AC power signal in the form of sine wave distortions and as voltage sags, surges, spikes, or other irregularities. Sine wave power is important for the optimal functioning of sensitive desktop computers and related peripheral equipment. Without sine wave power output, microprocessor-based equipment can become inoperative or sustain damage from power signal distortions. During the past thirty years, people have become more aware of the amount of energy used by IT equipment and devices. For many years, desktop computers and workstations inefficiently consumed power, partly due to the design of the power supplies which transformed AC power (from the wall outlet) to DC power (used by computers). This voltage transformation was relatively inefficient as reflected in low power factor ratings. 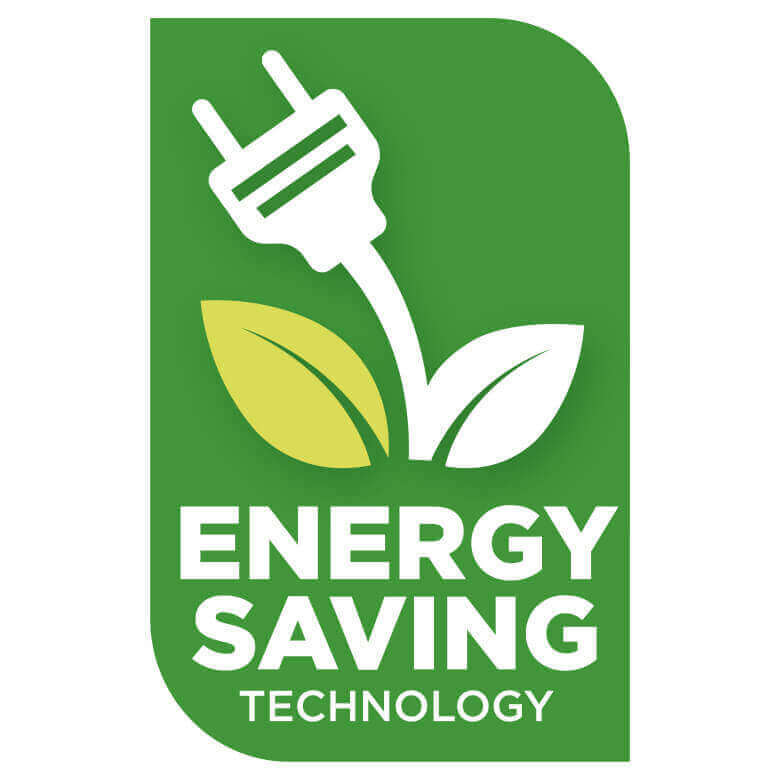 In 1992, the U.S. Environmental Protection Agency (EPA), in collaboration with advocates in the IT industry, developed the ENERGY STAR® program to prompt the development of energy-efficient products. Today this program is recognized as an international standard. To comply with ENERGY STAR standards, manufacturers of desktop and workstation computers incorporate Active Power Factor Correction (Active PFC) as part of the engineering designs, enabling energy efficiencies of 95% or higher. Computers with Active PFC power supplies require sine wave AC power, as supplied by utility companies, for trouble-free operation. For this reason, sine wave UPS systems have become the best choice for backup power. Simulated or stepped sine wave power, provided by entry-level UPS systems, may be problematic or incompatible with Active PFC devices. Sine wave power varies continuously from positive to negative. 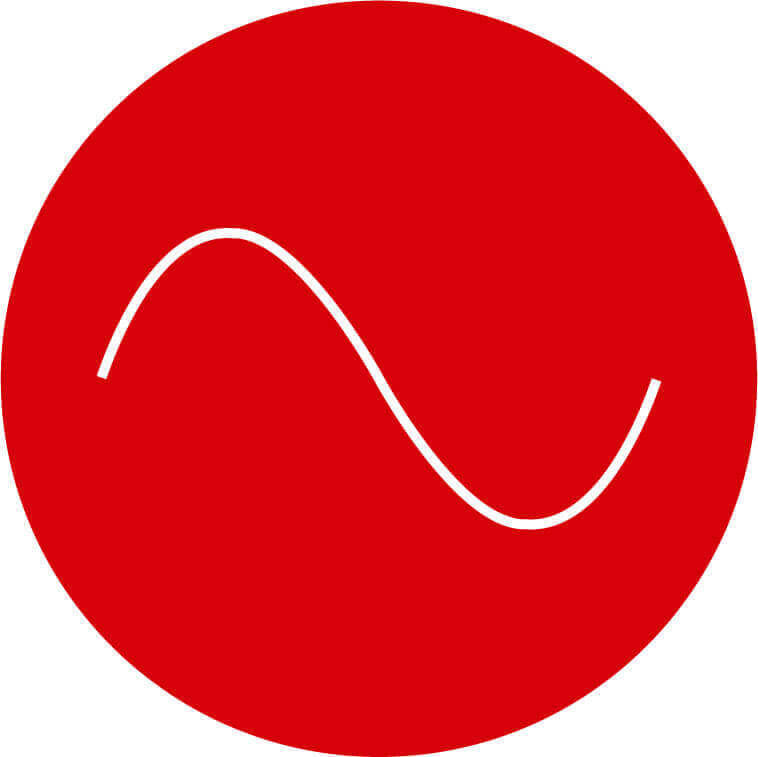 Simulated sine wave power mimics a sine wave by using a squared-off approximation. Due to this approximation, simulated sine wave power momentarily creates a zero power gap. 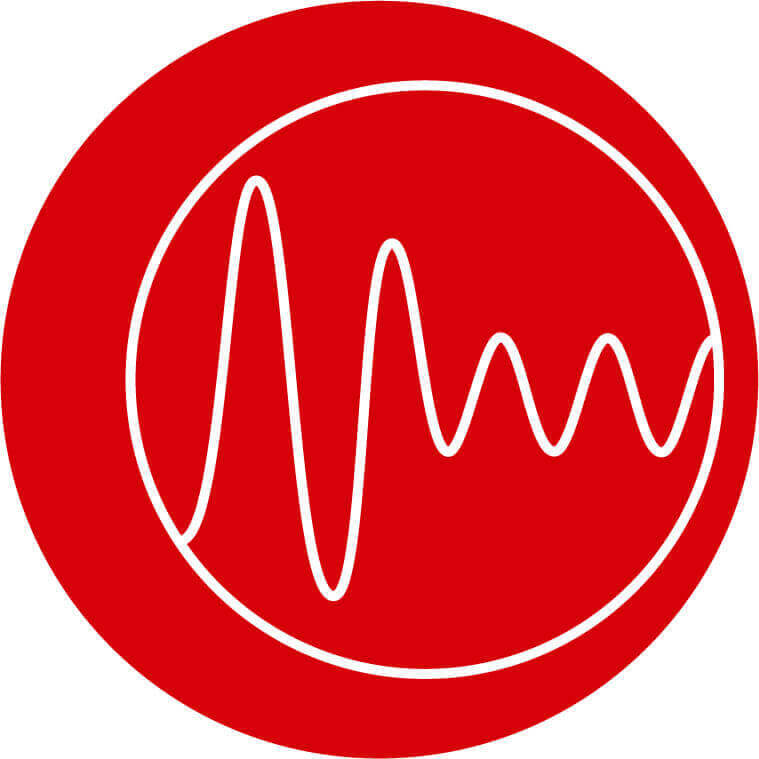 When power is interrupted, a computer with an Active PFC power supply may not recognize incoming simulated sine wave power due to the zero output present in the approximated wave. This could cause the system to unexpectedly shut down or sustain system component stress. A line interactive UPS includes an AVR autotransformer a special type of transformer designed to switch between powered coils of wire in response to variances in utility power input, thereby increasing or decreasing the magnetic field and the resulting output voltage to connected equipment. Are the rackmount ears strong enough to hold up my rackmounted UPS? Does it also need to have rear supports? The front-mount rackmount ears are specifically designed and tested to hold up their own weight in both a two-post and four-post rack enclosure. Rear supports are not needed, but users can install them if they wish.